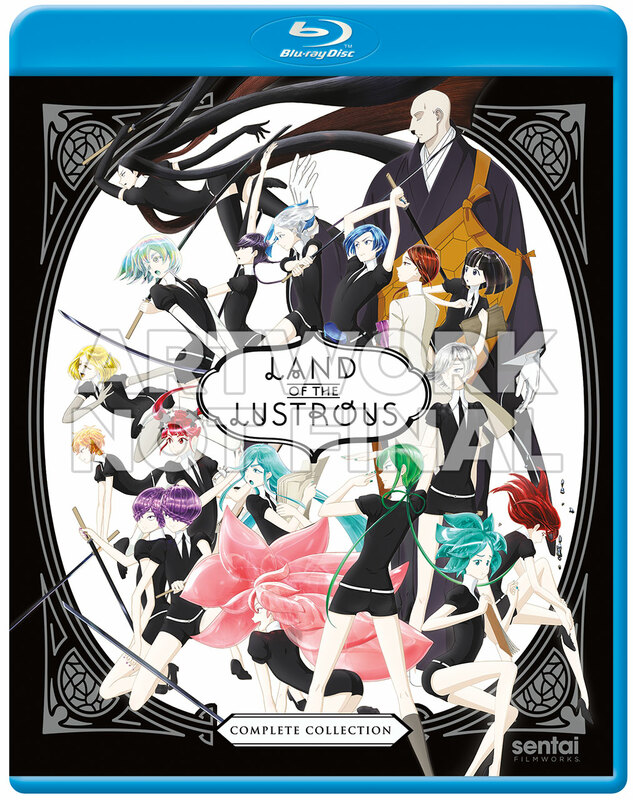 Land of the Lustrous: Complete Collection (Blu-ray) due out on 5/21/19. Last edited by WTK; 03-12-2019, 10:04 PM. 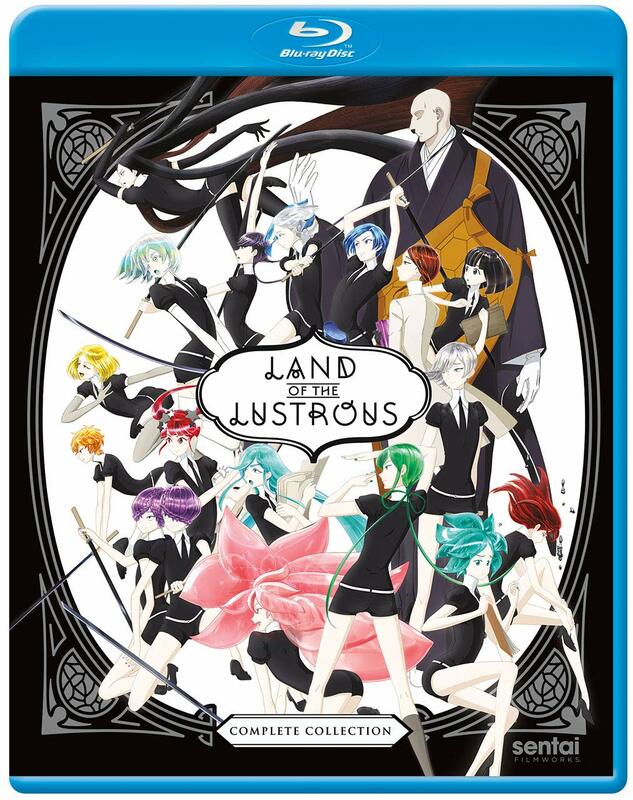 While the steel book release has lovely art, I really like the image being used for this standard release; I hope Sentai keeps it. Amazing piece of artwork there. While the steelbook is just lovely, this is a far more appropriate image to use for the SE release. While it's quite busy with a bunch of gem girls (actually they're genderless, but they still look too much like girls not to be girls), this show has an extra large cast. I hope that Sentai uses it as this shot couldn't be more representative of this show. Enlarged flat/3D cover art with disc arts and back cover added to the first post. 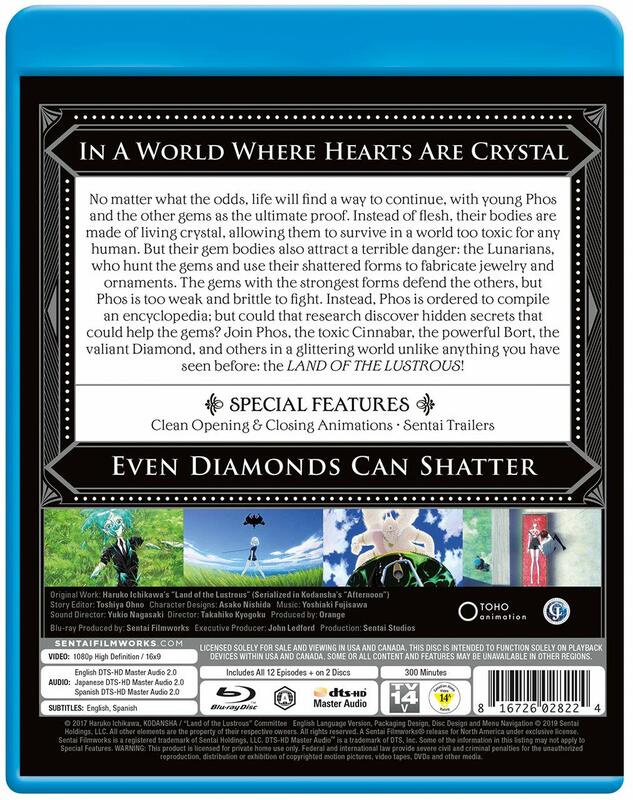 I am glad they kept the preliminary cover. 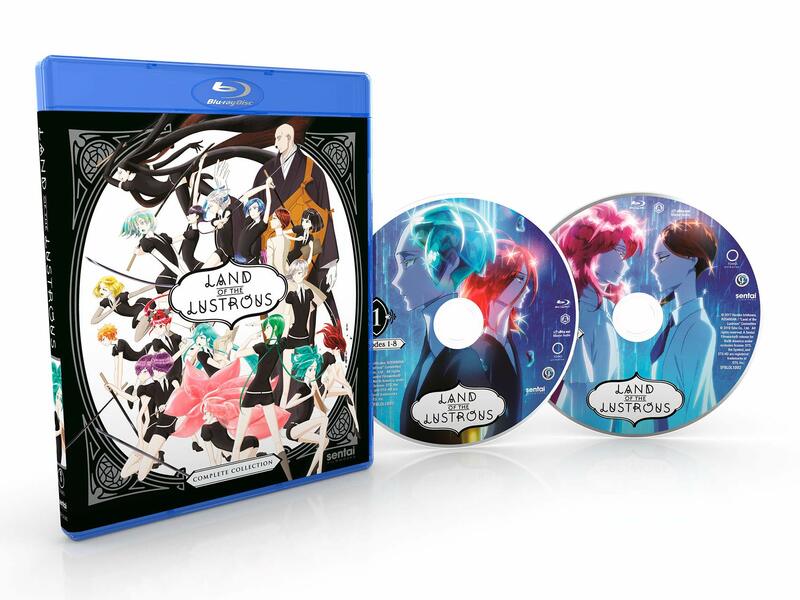 And the disc art is the same as the one in the steelbook.